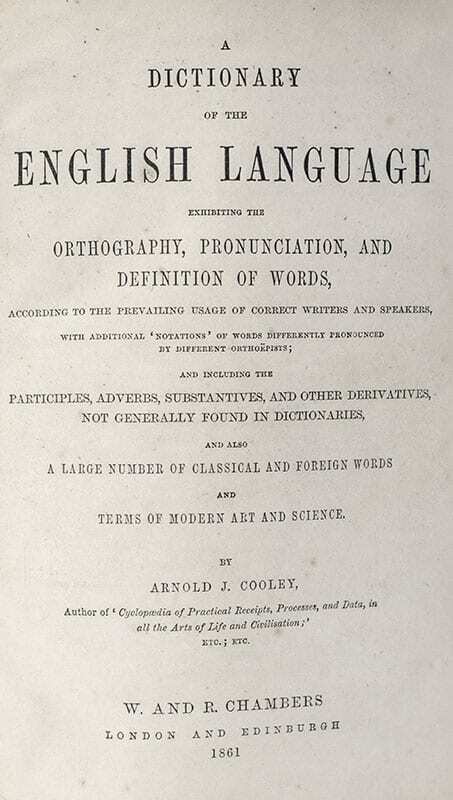 A Dictionary of the English Language Exhibiting the Orthography, Pronunciation, and Definition of Words According to the Prevailing Usage of Correct Writers and Speakers. 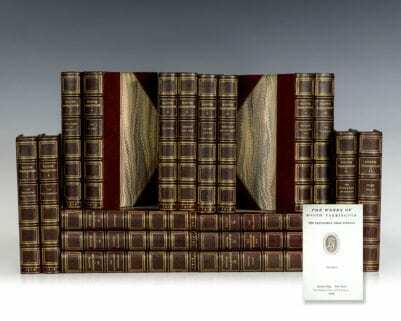 London and Edinburgh: W. and R. Chambers, 1861. 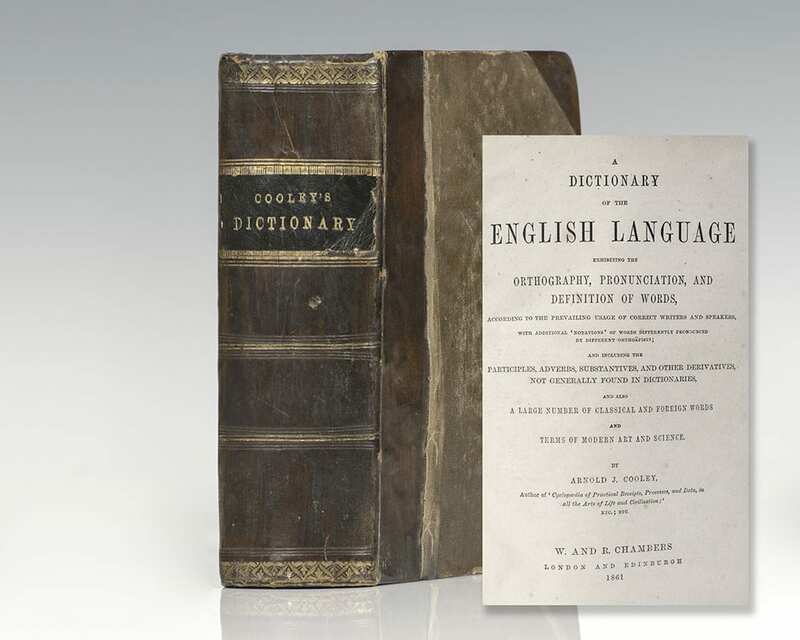 First edition of Cooley’s Dictionary of the English language. Octavo, bound in three quarters morocco, gilt titles and tooling to the spine, black spine label, raised gilt bands, marbled endpapers. Author’s preface. In very good condition. 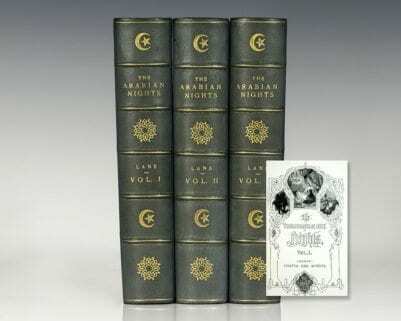 English author and chemist Arnold James Cooley published several books throughout his lifetime, including A Cyclopaedia of Six Thousand Practical Receipts and Two Months in a London Hosptial. 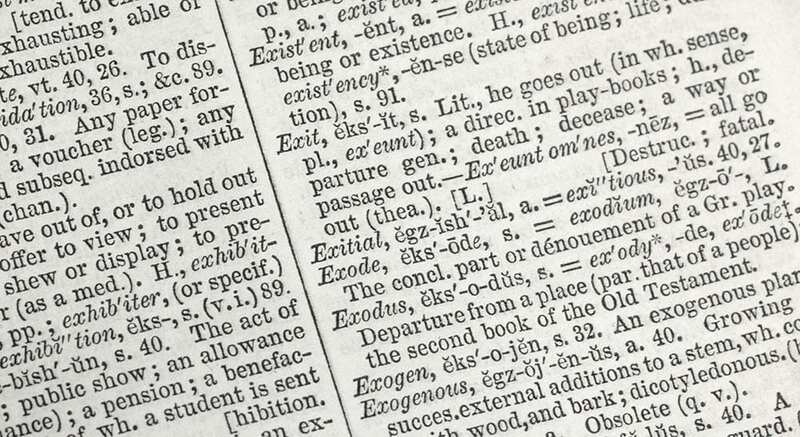 Cooley's Dictionary contains participles, adverbs, substantives, and other derivatives not generally found in other dictionaries published in the mid 19th century in addition terms of modern art and science.